DeSantis Landscapes is a family-owned, nationally recognized landscaping company in Portland Oregon with offices in Salem and Portland. It was recently announced that we made the list of the 100 Best GREEN Companies to Work for in Oregon, for the 8th year in a row! Oregon Business magazine puts out this list and it is voted on by employees in an anonymous survey. We believe professional development of our employees is important. Two of our managers were recently trained and certified under the Vegetated Water Quality Facilities Management program through Clean Water Services and Portland Community College and are now certified to maintain these increasingly ubiquitous development features (i.e. bioswales and detention ponds). Our landscape projects range from commercial properties, to large private estates, to the most intimate residential gardens. In all cases, DeSantis creates and maintains balanced environments of extraordinary beauty and functionality. We’re an award winning company recognized for integrity, innovation and reliability. Since 1974, clients have entrusted us to design, build and maintain their landscape investment. 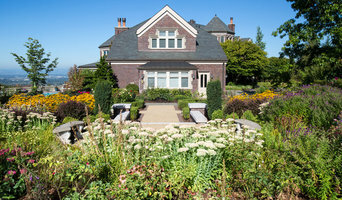 Portland's Leading Landscape Design Firm | 13X Best of Houzz Winner! 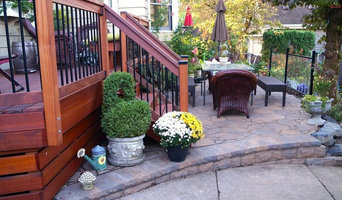 GRO provides residential landscape design and installation services in the Vancouver-Portland metro area. We have the ability to tackle any outdoor project no matter the size or how bold the design. Where others see dirt, we see breathtaking outdoor spaces waiting to be realized. We thrive on innovation and collaboration, and our measure of success is determined by the accolades we receive from satisfied customers, not just in the awards we win. Our goal is to earn your trust and follow through on every little detail of the project to create your dream outdoor living space! We have a wide assortment of contract maintenance programs designed to cover the unique demands of each individual landscape. Leave the worry of maintaining your landscape to us while you sit back and simply enjoy it. Tellurian Gardens, established in 2009 as a sustainable landscape design company, is committed to connecting people and place through the urban landscape. This connection is the portal for people to enjoy the natural environment. We create landscapes based on function and form, stimulating the senses and creating perpetually inviting spaces. Custom Stonework for landscape and architectural applications. 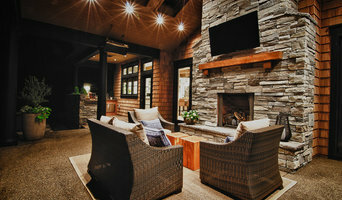 We bring unique, high quality craftsmanship to residential, commercial, and public projects. "Its just what we dreamed of.. Thank you!" Those are our favorite words and we work hard at making those words yours. We are a third generation masonry family and we learned our trade from Gramps and Dad. Integrity, great craftsmanship, friendliness, creativity and the ability to listen to clients are what we offer you. Two brothers, Scott and Jeff, form the backbone of the company. They meet with the clients and gather the project details, provide the written bids and perform the work themselves. Our clients love the fact that the person they meet with to discuss project details also does the work. Part of our philosophy is that your project should be fun! We are pleased to report that our past clients are happy to see us when we roll up on the job and while we are on the job. We want you not only to enjoy the completed project, but the building process as well. Whether you have plans in hand or need help with ideas and design, we can bring your dreams to reality. Our ingredients include: brick, CMU block, segmental retaining wall block, natural stone, thin veneer natural stone, cultured stone, flagstone, interlocking pavers and other materials mixed with inspiration, motivation and dedication. 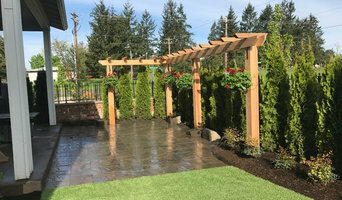 Terra-Sol Landscaping was established in 1977 by owner David Zimmerman and has been proudly serving the greater Portland-Metro area with professional landscaping services ever since. With over 30 years of local experience you can trust that your landscape is in experienced hands that know the Northwest well. Customer satisfaction is our top priority and that is why we work with our clients until they are completely satisfied and will always work within your budget. 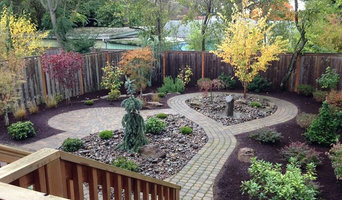 Northwest Native Landscapes is a full-service landscape company offering comprehensive design, installation and on-going site maintenance. We create unique outdoor spaces that emphasize sustainable materials, edible landscape spaces and native plantings. We are skilled listeners with a keen sense of design, taking your initial design ideas and transforming them into a well-constructed reality that will endure over time. Our project approach is unique because we understand landscapes from multiple perspectives: as a designer, builder and care-taker of these spaces. Our ultimate goal is for you to use and enjoy your outdoor spaces as much as your indoor ones. Email or call us to chat more about your project.